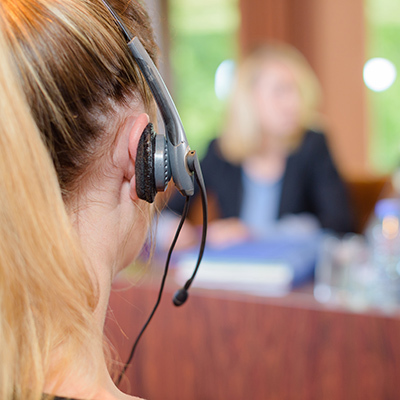 The service of simultaneous translation requires the interpreter to have a particularly high level of linguistic competence, correct preparation of the subjects to be handled, punctuality and precision. International Service is capable of offering you an interpreting service, which coincides with your requirements thanks to a stable network of carefully recruited and continuously trained professionals. We provide simultaneous translation services for conferences, business meetings and other occasions where understanding your intentions is of primary importance. 35 years' experience, innovative technological standards and strict quality procedures to respond to the needs of demanding international customers, also including brands famous all over the world.